Croatian architect Nikola Bašić grew tired of his war-torn city of Zadar being rebuilt with drab concrete structures so he decided to bring a little music back to the area. 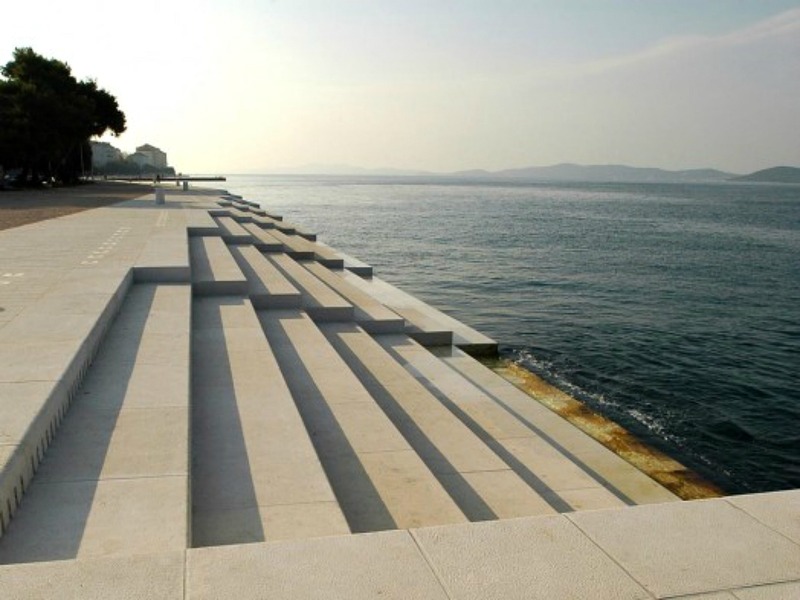 The architect created an incrediblenature-based instrument, the Sea Organ, a set of 35 organ pipes installed in the town’s marble jetty that make beautiful music as waves lap at the coastline. 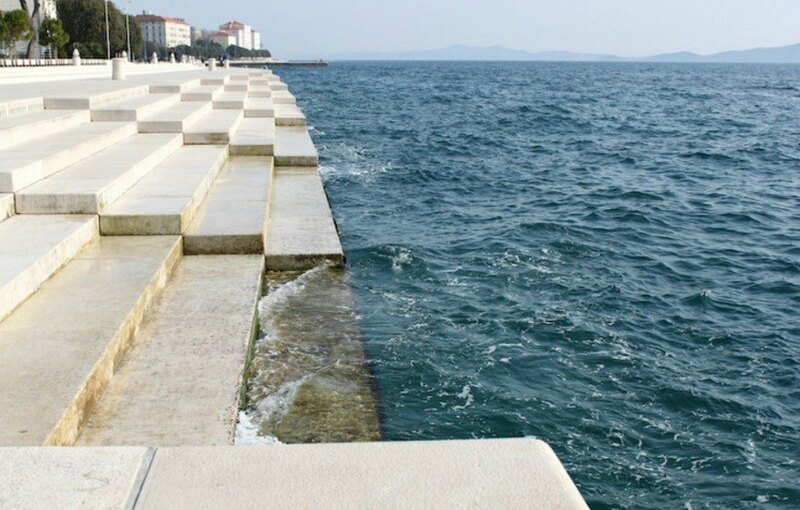 Installed in the expansive marble steps leading into the Adriatic Sea, the 230-foot-long Sea Organ, or Morske Orgulje, converts waves into random, yet soothingly rhythmic music. Each set of steps contains five organ pipes and is tuned to a different musical chord. The pipes are connected through a series of narrow channels and react accordingly to waves and wind. 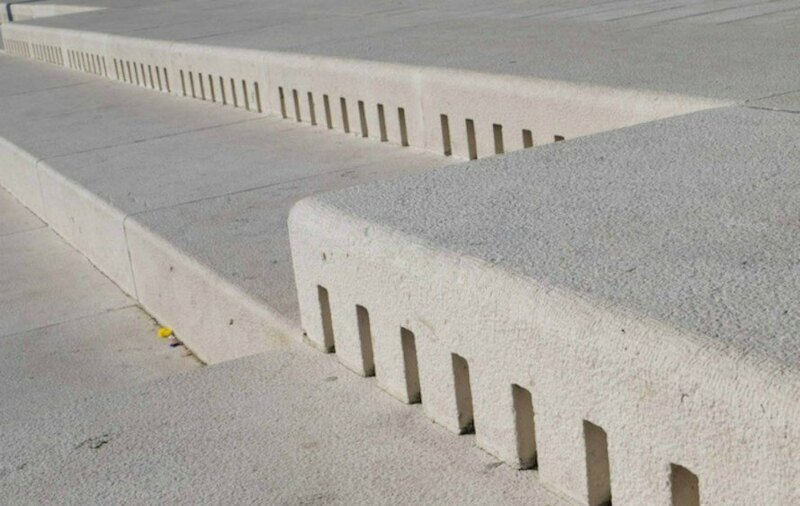 Although the Sea Organ sounds quite dreamy, it’s not the first time we’ve seen architecture used as an instrument. Dutch artist Jeroen Bisscheroux’s TOON created three giant conical horns to listen to the environment, and students in Estonia recently used three huge wooden megaphones to amplify the sounds of the surrounding forest.